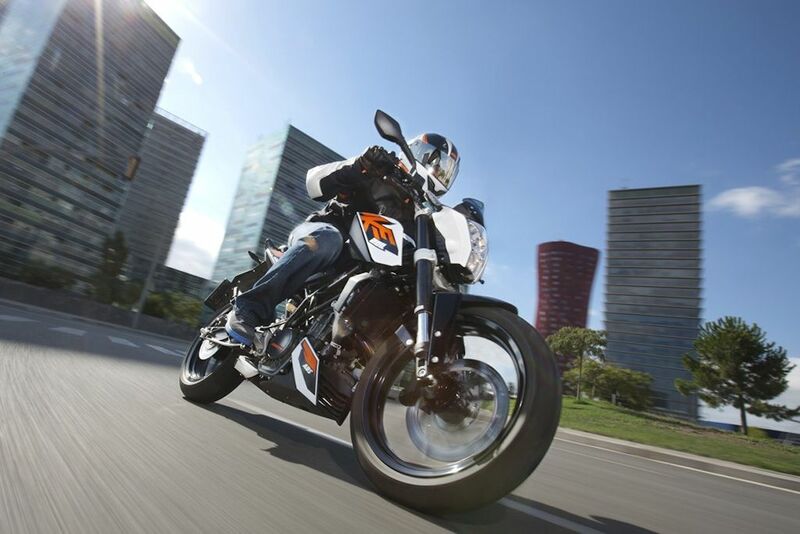 After some years of limited success and growth, KTM is jumping partners, going to bed this time with Ayala Automotive Holdings Corporation, a fully-owned subsidiary of Ayala Corporation. But what can we expect from this high-profile partnership? Well, read on. The name KTM is actually an acronym of its founders and the location of its headquarters: Ernst Kronreif, the K, is the money man while Johann (Hans) Trunkenpolz, the T, is the engineer. M, stands for Mattighofen, a small town in Austria. 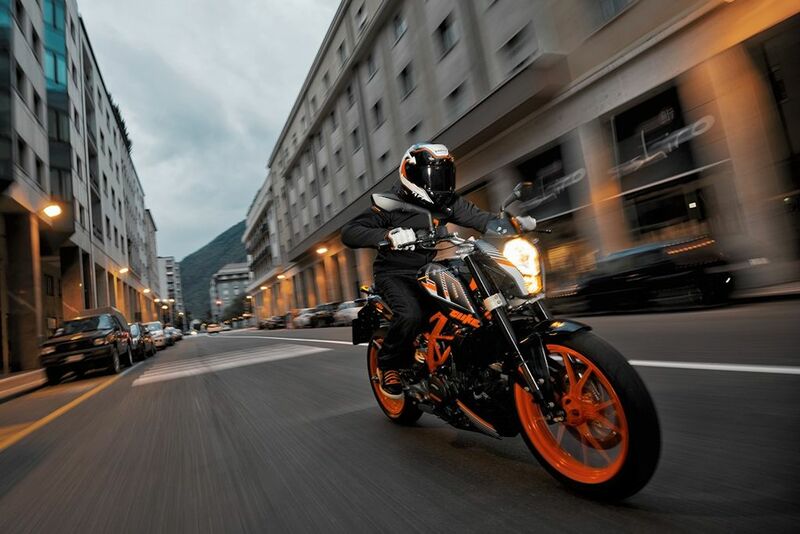 Currently, KTM is engaged in the development, production, and distribution of motorized vehicles for recreational purposes, particularly under the brands KTM and Husqvarna. They offer a wide range of award-winning off-road and street motorcycles as well as the track-focused KTM X-Bow (which is done by a different subsidiary). What’s up with the tagline? KTM uses the tagline, “Ready to Race” because they believe pretty much in the development of world-class road bikes through motorsports. In fact, they repeatedly said, “if it doesn’t help your bike go fast or handle better, we won’t put it there.” They participate in a wide variety of motorsport events around the world and have scooped up more than 160 awards since its founding in 1953. So what’s up with this partnership with Ayala Corporation? Well, it helps that the Ayala brothers, Fernando Zobel and Jaime Agusto, are avid bikers. But, they’re always in the lookout for new businesses and saw motorcycle distribution and assembly to be the logical next step. After all, they did set up brands such as Honda, Isuzu, and Volkswagen here. The motorcycle market locally is around one million units annually and though enthusiast-centric and leisure bikes are still niche, it is growing. With the current partnership, Ayala is controlling with a 2/3 stake while KTM holds the remaining 1/3. 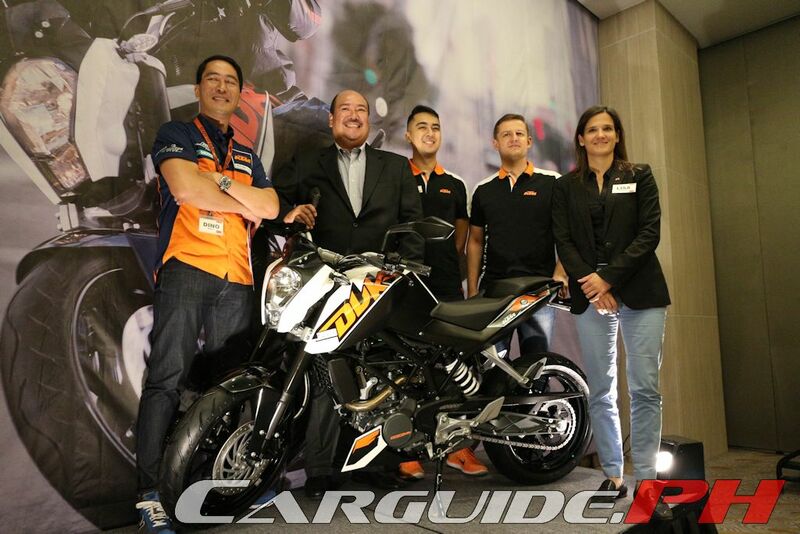 KTM Philippines’ Chief Operating Officer is Dino Santos, a banker whose blood is now colored orange. So when’s the start of operations? Operated under the trade name Adventure Cycle Philippines, Inc., KTM Philippines now has a small staff of around six or so people. But considering they just started hammering out the plans last June 2015, the gestation period is very short. The target start of distributorship is the Third Quarter of 2016 with their first showroom located in Bonifacio Global City. What’s going to be their line-up? Well, KTM is promising to bring the full line-up of bikes here in the country (see line-up and prices below). The bigger news though is also the announcement that KTM bikes will be assembled and exported from a plant in the Laguna Techonopark beginning the First Quarter of 2017. We’re going to be exporting bikes? Yes, that’s right. The current plan is to assemble the 200 Duke, 390 Duke, RC 200, and RC 390 at Ayala’s world-class Integrated Micro-electronics, Inc. (IMI) plant. If IMI rings a bell, it’s because they supply advanced automotive electrical components. Although the capacity is roughly 20,000 units annually, KTM will initially start small, producing just 6,000 initially. Half of this will be for local consumption while half will be for export to China. Also, Ayala has indicated that IMI is undergoing upgrades in order to facilitate the assembly of even more KTM models in the future. I have a KTM, what about my warranty? Understanding that taking care of their customers is a priority, KTM will service all bikes regardless of where it was bought. They call it their “global warranty” promise. Of course, this Ayala-backed KTM venture will mean the ready availability of spare parts as well as riding gear and accessories. 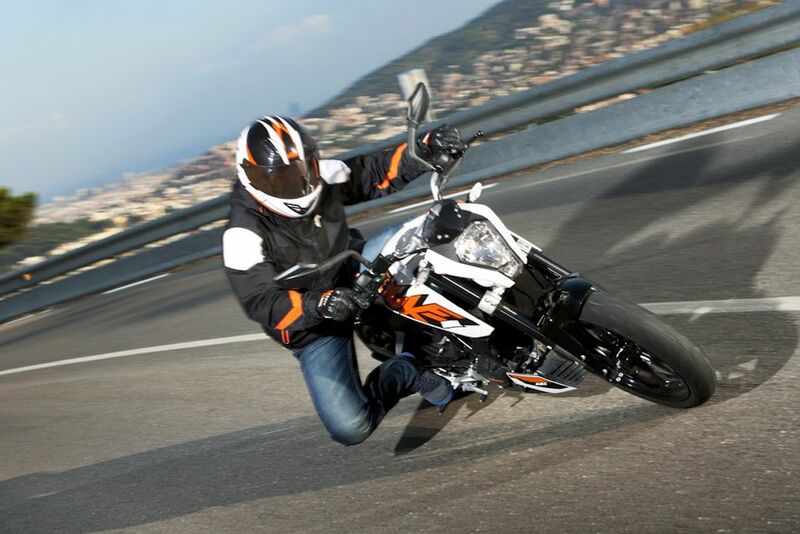 Where can we expect KTM dealerships to pop up? Ayala is opening their first boutique in Bonifacio Global City. But, they’re also working with current KTM dealers from the outgoing distributor if they’re willing to be absorbed in the new dealership umbrella. Again, they’ll start with a small presence—around 15 dealers by the end of 2016 and eventually growing to about 35 to 40 nationwide. 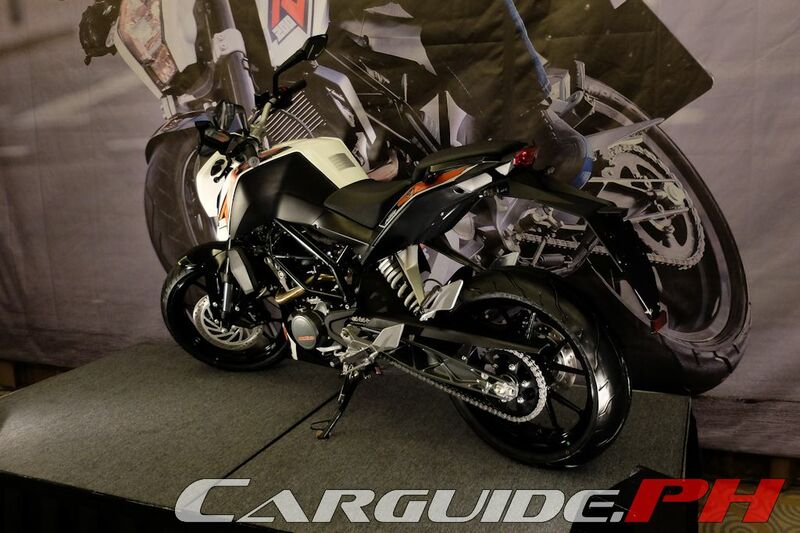 What will the prices of KTM bikes be? 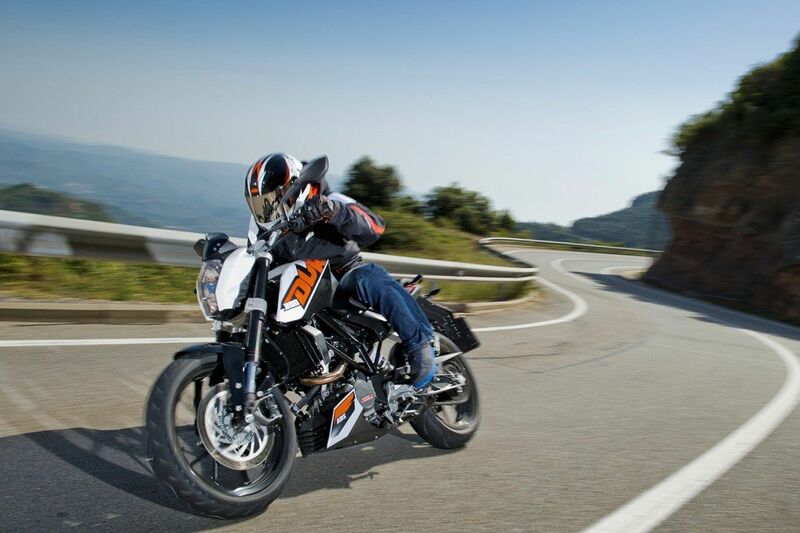 But as the production shifts to Laguna, KTM expects their prices to be much more competitive. 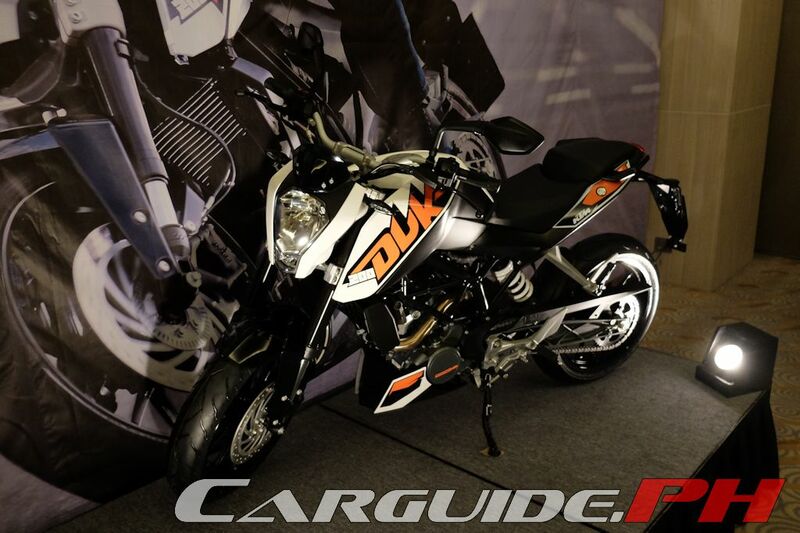 It’ll be so competitive that KTM is aiming to be number one in the premium bike segment. I’m interested to put up a KTM dealership. What should I do? Well, since Husqvarna is now the sister brand of KTM, yes, Ayala will also be distributing the brand here in the near future. The X-Bow is officially part of a different division of KTM. I'm not saying never, but you never know. Currently though, it's all about the bikes.